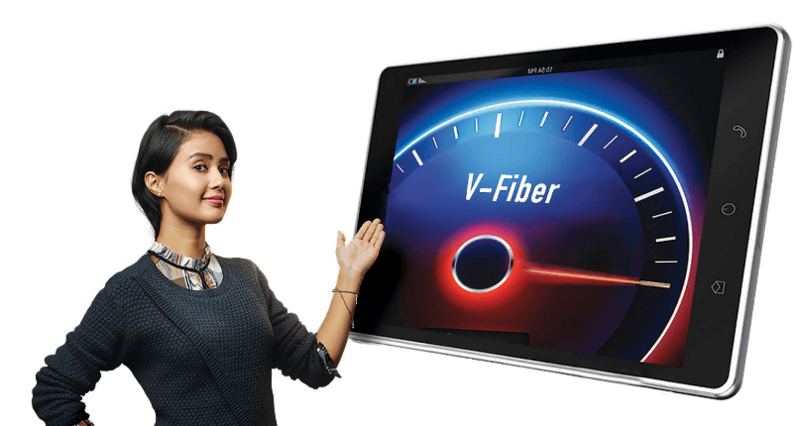 Bharti Airtel has introduced ‘V-Fiber’ for its fixed broadband, a technology capable of delivering speeds of up to 100 Mbps. Airtel is the first operator in India to deploy Vectorization. “‘V-Fiber’ will transform the home broadband for Airtel customers with consistently super fast data speeds and enable HD video streaming, heavy file downloads, and uploads in a multi-device environment (over Wi-Fi),” said a release from the company. To experience the benefits of ‘V-Fiber’, the customers need to upgrade to a new modem. The customers can upgrade to ‘V-Fiber’ speeds with their current plan and there will be no extra monthly cost involved. For an assurance, Airtel promises to refund the modem charges (the amount will be adjusted in the next bill cycle), if the customer is not happy with the new ‘V-Fiber’ technology. The new customers will get unlimited three months trial offer. “With ‘V-Fiber’ and our national optic fiber backbone, we are all set to offer a future-ready network for tomorrow’s digitally connected homes. This solution, besides reducing our carbon footprint, offers a very quick and convenient upgrade to the customer. We are also delighted to launch our innovative myHome Rewards and unlimited free voice calling facility for our customers,” he added. From today, the offering is live in Chennai and it will be rolled out across other networks in the coming weeks. As a launch offer, Airtel also offers unlimited free voice calling for all broadband customers. “The facility is now available across broadband plans and customers can make unlimited free voice calls to any network across the country at no extra cost,” Airtel said in a statement released today. There is already ‘myHome Rewards’ program for Airtel broadband customers. Under this, customers get free additional data benefit of 5GB per month for every other Airtel service connection – postpaid mobile or digital TV (DTH) – within the home/family. Both existing, as well as new Airtel postpaid mobile and digital TV connections, can avail this. To say, Airtel broadband home with two Airtel postpaid mobiles and one Airtel digital TV connection can get 15 GB free additional data to their broadband account every month. This is nothing but VDSL on copper , they have used the word fiber just to lure customers and alas they are advertising 100M and there is no 100M plans . BSNL/MTNL are offering VDSL service from last 2yrs in limited areas . Just a marketing gimmick nothing else . The 40M plan is possible in VDSL2 also, no requirement of Vectoring .